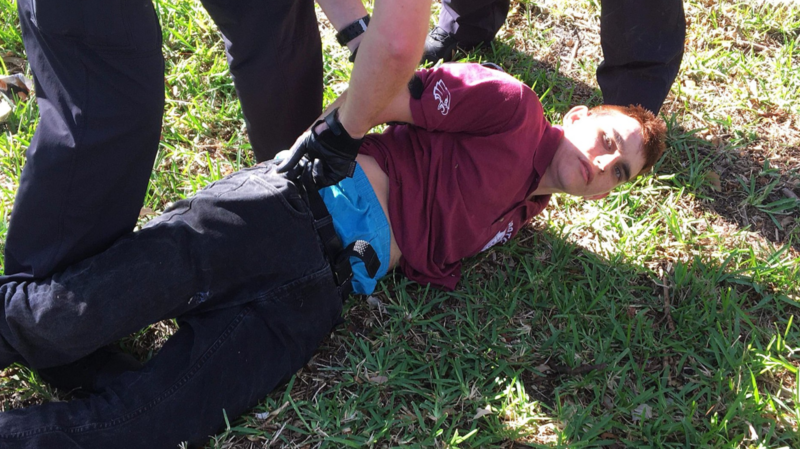 Parkland school shooter Nicholas Cruz is being showered with letters of adoration and photos of scantly clad teenage girls while awaiting his trial. This according to a report from The Sun Sentinel. Cruz is accused of entering Stoneman Douglas High School, in southern Florida, and opening fire on students and staff members with an AR-15 rifle. The death toll, after the smoke had cleared, was 17. Cruz has been placed in solitary confinement due to the alleged shooter being on suicide watch, and has been denied access to the fan mail that has been pouring in. However, thanks to conversations overheard between Cruz and his brother, he is believed to be aware of the popularity that he is gaining among some teenage girls and even older men. Broward County Public Defender Howard Finkelstein said that there were piles of letters. Finkelstein said that they will read some of the religious ones to Cruz, but the rest never reach their intended target. Cruz has also reportedly received several hundred dollars towards his commissary account. That money can be used for goods at the store within the prison that offers inmates things like snacks, radios, and televisions. The most alarming thing about this entire situation is that it is looking like there are teenagers, across the country, who are relating to Cruz, admiring him, and looking up to him as some sort of hero. This is the sort of reaction one might expect towards a sports star, a movie star, or even a famous author. It’s not the type of response that we would expect towards an alleged mass-murderer. Even more alarming is the fact that this type of fan-like adoration of Cruz could seem appealing enough to another deranged individual to go on their own shooting spree. To an extent, this speaks to the larger issue of the amount of non-stop media coverage that mass-murders receive in the United States. After going through the knee-jerk reaction of trying to tie any given mass shooter with the GOP, the NRA, or the Tea Party, the Drive By Media will then spend months discussing school shootings. As long as the media continues giving media attention to the school shooters, copy-cats are bound to continue springing up.